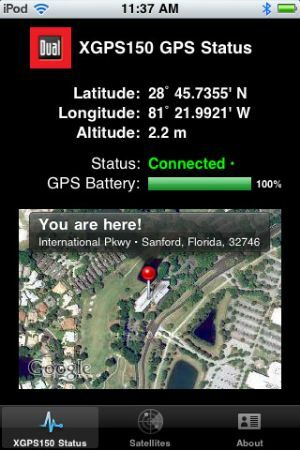 The Universal Bluetooth GPS Receiver is very simple to use. There is a quick set up process that includes pairing your device with the Receiver. Once this is done, the Receiver will automatically connect to the device it was last paired with, and you will be able to use it with hundreds of apps that require location information. 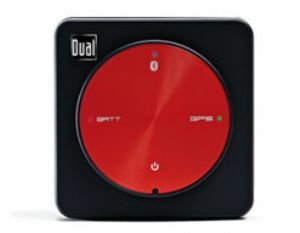 The GPS Receiver includes a non-slip pad for use in a cockpit, car or a boat. The non-slip pad will stick securely to most surfaces, including vertical walls and windows. 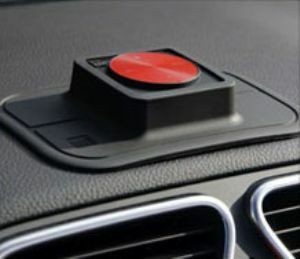 The Universal Bluetooth GPS Receiver is not waterproof, but it will withstand light splashes when it is seated properly in the non-slip pad. A two-piece armband is also included for using the Receiver during hiking, geocaching, jogging, cycling and other outdoor activities. Use the armband without the extension to secure the GPS Receiver around the strap of a backpack, handlebar, etc. The XGPS150A includes a non-slip pad for use in a car or on a boat. Simply slide the Receiver into the pad to secure it, making sure that the lip of the pad seals over the top edges of the Receiver. The XGPS150 is not waterproof, but it will withstand light splashes when it is seated properly in the non-slip pad. A two-piece armband is also included for using the Receiver during hiking, geocaching, jogging, cycling and other outdoor activities. Use the armband without the extension to secure the XGPS150A around the strap of a backpack, handlebars and more. Click here for compatible apps ideas for the iPod touch and iPhone devices.